Geranium phaeum Album (Mourning Widow). This is a much brighter version of the Mourning widow, capable of lifting hearts rather than suppressing them. 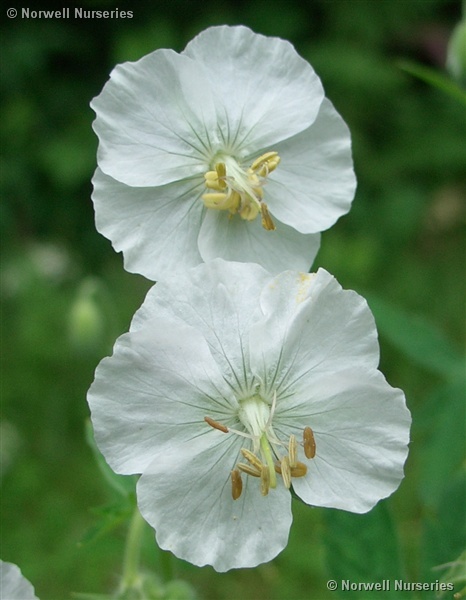 The pure white flowers have attractive yellowy anthers. Excellent in dryish shade but will grow quicker if damper.